I'm a PROUD BLACK WOMAN and Lovin' It!!! The media loves to paint a picture of the sad, lonely, man-less Black woman who always has to play second fiddle to the IT Girls of society. I DON'T THINK SO, Baby! First of all, let me drop a bomb on this presumption. In truth, most Black women think they are DA BOMB and are irresistible to ALL MEN. Yeah, I said that. And how could I dare do so? For one thing, when I was growing up, the sharpest dressed, sexiest, prettiest, smartest and absolutely FABULOUS women in town were BLACK WOMEN. Yup! We had it like that in my community. Not one of the ladies I saw growing up, my peers or women in general had low self-esteem nor did they feel unwanted. Actually, where I grew up, the sistahs couldn't keep the guys away and all the Black men wanted them. Yeah...we had it going on. It's one thing to see images, but it's also very important to keep one's perspective of what is truth and what is a depiction of someone else's warped, bigoted and ignorant mentality. White America has always loved depicting negative images of Black people in order to boost their pathological narcissism and infuse the theology of White Supremacy. The media chose us because they feel that we make easy targets. When you have Black males who are being shown fawning over white trash and dizzy blondes; the presumption is that Black men don't want Black women, right? We all know that is not true. Statistically, The majority of Black men and women date and marry each other. Black love is alive and well, but I'll tell you a fact. There has been an historic effort to destroy the Black male by removing him from the Black community. And in many areas of the country, this has had a devastating impact. The media loves images that destroy anything that appears to esteem the Black race and White Supremacy is the motivation of this. With the ever present threats of the economy looming over us; we cannot afford to turn on one another. Unity is strength. And Black women now realize that without Black men by our sides; we're vulnerable. The Black man is our equal and we don't criticize Black men out of hatred, but LOVE is the motivator, director and eternal hope of that action. We know that society hates the Black man and new tricks and gimmicks are being constructed by white males in high place seven now to destroy the Black man. Why? Strong sistahs aren't having it and are crying out and praying that all of those lost brothers will finally WAKE UP and hear us. Come home. It's time. 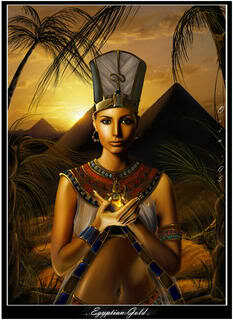 Let it be known...that I LOVE BEING A BLACK woman, and I thank the most high God for it. 10 Reasons Why I HATE THE SOUTH!!! Back in 2004, because of personal issues and family ones as well; I had to move to my birth home of Georgia. At first, I thought it would be good for me--my mother had moved back in 1988, but I chose to stay in Chicago, where I had lived since I was two years old. However, it didn't take me long to realize that I was not prepared for the reality of living in the south. Not only is the town where my mother resided backwards; it was as if everyone that came to her house was only there to check out her Yankee daughter and find a reason not to like northerners. Not too mention, some of my family members didn't exactly embrace me with open arms. Once upon a time we had been close. I didn't know what had happened. It disappointed me deeply to be treated that way. I learned quickly that there are just some places where you should just visit--and not choose to live. Everyone wants to get in your business. Some folks don't have any problem asking where you work, where you live, are you so and so's ....daughter, etc, etc. And to the casual neophyte; I have this warning: southerners speak two languages>>>what they say...and what they actually mean. Believe me, you'll spend many moments trying to figure out what the hell they are truly saying. And when they are agreeing with you; it's not because they actually, well...agree with you; it's just a gesture to hide the fact that they really don't understand a word you're saying...but their innate pretentiousness won't allow them to hurt your feelings by telling the truth. Then...there is the culture. Southern culture is for southern folks who are white, slow in the brain and can't get past the fact that the north won the Civil War--GET OVER IT! I've been contemplating moving back to Chicago(I miss it terribly!!!). Most of my days are spent working...and during my leisure time; I'm plotting to get the hell out of this place. People may have marched in the 60's but in many counties down here you might as well have Jim Crow inacted all over again. Confederate flags are sported proudly. The craKKKas that do this say that it represents their heritage. Uh...I guess they are proud of that this flag also represents slavery, racism and white bigotry, second only to the white sheets of the KKK. Whites live on one side of town and Blacks live on the other side of the tracks--literally. It's repressive. There is a general disdain for anyone that isn't southern or white. As if this is something to be proud of. Blacks seem to still be afraid of white people and if you're not living in a major metropolitan area; only whites are visible in most of the businesses that are available. What really angers me is that there seems to be an innate since of superiority of whites here and some think they can talk to Black people anyway they choose(that is...until they make the mistake of talking to the wrong one and getting more than their feelings hurt). Yup! If you're looking for ATM's at most banks--typically, southern banks are private owned and you won't find one. They're big on talking about heritage, but typically, that means...if you're family can't trace at least 4 generations back in any southern state, YOU'RE NOT SOUTHERN. Sorry Immigrants. Progress skipped most parts of the south and the mindsets of the people rival the script to Gone With The Wind. Only they know what they're talking about. The white folks in the south control its culture and image. For those who live outside the south; you'd think that everyone down here has oversprayed hair, bleached blond hair, talks with a drawl...and square dances and shoots deer on the weekend. Hearing foreign languages being spoken in public scares these people and seeing anything that doesn't remind you of Driving Miss Daisy is just plain bizarre to these folks. Guys really are named Bubba, they drive Big gas guzzling trucks, they don't recycle down here and going green to most southerners means that you're eating more spinach. I've seen fat people ok...but down here, southern fat scares the hell out of even tourists. I had a West Indian friend ask me out of horror was everyone in the south obese. You can't even go to a Wal-Mart without almost hearing the door greeters getting cussed out because some of these shoppers are so damned fat, paramedics would have to be called if they even tried to push a cart around those big supercenters. They love BBQ, fried food and the only physical activity most southerners get these days is when they click the remotes to their HD's. Is this an oxymoron, given what I said in number 5? Could someone please explain to me why people would be proud to be REDNECKS? I don't get it. Could it be that well...I'm not a Redneck. They love being Rednecks so much; they have written books about it and many of these people advertise it on t-shirts and bumper stickers. To the casual observer, these folks were born to be made fun of and one thing for sure...the producers of The Jerry Springer Show will never run out of guests as long as Rednecks exist. Everybody down south goes to church, but many couldn't even quote 5 of the Ten Commandments. I'll tell ya a little secret folks; most southerners only go to church because it's socially correct. Some feel that people will assume that they are respectable if they are members of a popular church headed by a community approved pastor. It's not about love, joy or giving--being a "church goer" gets you a wink from the "accepted folks" in town and doors will open for you. Although I can appreciate colloquialisms; I'd appreciate it very much if southern people would not hold it against people if they actually know what's coming out of their mouths and can even spell the words they speak. So...if there are some here who have been thinking about moving south--I'd really do some deep pondering if I were you. It's Not Always The MAN'S FAULT! When it comes to relationships and women...from what I've observed most of my life, it's hard for the ladies to admit that "they" are the problem and reason for the relationship issues or for it ending all together. And there is a reason why some women are single (By choice? yeah...right.). Yes, there are some "no good" men out there, but hey, let's get real: there are a lot of "no good" women too. Each and every time the subject of relationships come up, there are some women who want to portray themselves as the victims. Those women, like myself...know good and well that this is a crock. Personally, I've seen it. I can't even count how many times I've seen this in public--at the grocery story, movies, restaraunts and even at work. Had a coworker by the name of Sarah who loved to tell her husband off on the phone--talking loud enough for just about everyone in our section to hear. It was absolutely painful to watch. I felt sorry for the man. So, it's a problem when men tell the truth about their experiences with the mate from hell but ok for women to play innocent with impunity? It takes two to tango and where there is a problem>>>there is a root cause for that problem and its name is probably, Gloria, Denice, Sheila or Pam. Why can't women own up to their part in a bad relationship? And just what issues am I talking about? Too Many Girlfriends in YOUR BUSINESS!!!! The question I have here for the ladies: Do you have a mirror handy? Some of you may want to check it. It is precisely the U.S. government that is responsible for the institutionalized racism that is still impacting our community. 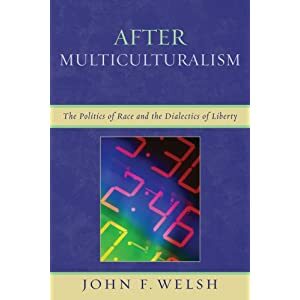 Currently, I'm reading a book by John F. Welsh entitled, After Multiculturalism in which racism is broke down in one of the chapters that I'm reading. The points I highligted come from Chapter 3: Fusion and Transendence Murray Rothbard and the Anarcho-Capitalist Critique of Racism. Murray Rothbard was a scholar, economist, public libertarian, published over 2 dozen books, hundreds of academic jounal articles, edited four journals and is one of the founders of the Libertarian Party. The analysis that he gave in this chapter almost made me hit the roof. Racism in the United States, as he stated, could be described as internal colonization is manifested in four forms of governmental activity: police power, urban and regional planning, education, and the welfare system. As I kept reading, it was his analysis of the public school system that made me sit up as well as his critique of how racism has impacted Blacks economically. In his view, the public school in colonized communities was a " vast prison-house and chain-gang " operated by teachers and administrators who despised the mores and culture of the students under their charge. Is this not the truth? And people keep wondering what is wrong with the American school system? It's not the entire school system that is flawed; just schools that are dominated by minority chidren. It's a proven fact that white teachers show bias toward Black children and is why so many are dropping out. Rothbard voiced approval of the studies of Johnathan Kozol and Paul Goodman which focused attention on the problems generated by compulsory mass education and its outcomes for the children who suffered the physical intellectual, and psychological degradation inflicted by the white guardians of the schools. And people wonder why so many young Black youth are embittered by their experience in the public school system? Education, in his conclusion, was a pernicious form of governmental control. Another was economic. Rothbard also identified the welfare system as an odious agent of internal colonial administration. In his opinion, welfare was a social system that promoted community dependency on the racist state(government); it was not an organized public approach to societal benevolence. Basically, it is a fact that our government has been and still is involved in the destruction of our community. "In the case of of the United States, Black Americans are internally viewed as an alien population whose neighborhoods are occupied, pacified, and exploited for the economic and political gain of the ruling elite. The internal colonization of Black Americans fuctions to mitigate economic competition, to transfer wealth from Black communities to white communities ." In less than 5 years, the Black community will have a buying power of 1 trillion dollars. Question: Where is the money going to go? A Letter To White America..
﻿White America. I am a Black woman, born and raised in the United States of America. As a child, my perceptions of you were formed before the age of 6. And just what did a little girl see? I remember sitting in the living room, in front of the television, watching images of Black people being beaten and hosed by police in the deep south. The image of a Black man with blood running down his face is most prominet as he was being helped by a friend after being hit across the head with a police baton is seared in my brain forever. I remember seeing the hatred in the eyes of the whites as they hollered, "N*GGERS! STUPID N*GGERS! GO BACK TO AFRICA!" What was funny about that was that it was white Europeans who had brought Black Africans to America. I remember watching Dr. Mr. Luther King give his speeches and talk to the media--even convicted for non-violence and temperance in dealing with insane white folks who wanted to kill him because of the color of his skin. I remember when the little girls from Birmingham, Alabama were killed as they sat in Sunday school. Malevolent forcessorampant amongst whites, not even a church was safe from their hatred. I remember the image of Dr. King when he gave his speech in Washington and I remember his body laid out on the Lorraine motel balcony when he was assisinated. I sat there...watching all of this violence against my people and I decided from that day that I would never trust you. You were evil, depraved and violent and were my enemy. PBS documentaries shaped those views. Synopis: I DON'T LIKE YOU! You are unlikeable and are never to be trusted. The arrogance that is within you makes you even more intolerable and I believe the narcissism that white folks possess is literally pathalogical; it is impossible for you to understand how your behavior over time has impacted anyone. You are a cruel people. You don't care about anyone but yourselves and are so self-involved; everything you do is justified, even when the acts are criminal. You worship yourselves.Hmmmm...just like Lucifer did in the Bible. A connection? Malcolm X told you to your faces back in teh sixties that the white man was nothing but a blue-eyed devil. He critiqued your behavior and threw your pompous, racist rhetoric and behavior back in your faces. Black America cheered this prince--a gifted orator that to this day is viewed as the true emancipator of Black people. He told Black folks to LOOK at what the white man had been doing and pay close attention. He confronted White America like no one ever had and gave much needed commentary and description for what was destroying so many Black lives. He never retreated and although it cost him his life; Black America would never be the same because Malcolm gave life to the nationalist mind and challenged us to fight back--" By Any Means Necessary." Analyzing the things that you do, your personality traits mimmick Satan. Cunning, deceptive, filled with hate, hates God, corrupt to the core by evil. And what is evil? Evil consists in intentionally behaving in ways that harm, abuse, demean, dehumanize or destroy innocent others?or using one?s authority and systemic power to encourage or permit others to do so on your behalf? WHITE SUPREMACY in a nutshell. How can you people truly expect Black folks to love, forgive and forget what you've done when it is proven, maybe more subtly, but with uquestionable intent to oppress people of color? You want inclusion in our lives and minds without the benefit of accountability. Every time a white person approaches any Black person, it' so typical: First, the stare. Then the smile.It' a pretentious smile--one filled with a need for acknowledgement that they are taking time out of their day tonotice someone whom they intrinsically feel is inferior to them in order to prove that they are not all bad, right? Or God forbid, they try to startup a conversation about the dumbest sh*t. You're expected to respond...even though they are nothing but a stranger. The glaring monster of White Entitlement strikes again. Many Black folks respond to White Supremacy every single day. How? Through compliance. White Supremacy can only thrive by our compliance. Black Pride is non compliant and is viewed by whites as a threat. Why? Because it deconstructs the lies that White Supremacy fosters and exposes the areas where White Supremacy was formed: it was constructed in the minds of a race of people who thought that they were so smart, all they would have to do was omit the truth from history. They feared that if someone really found out just how insignifigant they truly were; they would lose their power forever. So, they came up with an idea: to stop Black people from every knowing that they were the ones who were the first to be civilized and Africa was the birthplace of man. Simply put, the breakdown of understanding the dominance of whites globally is very simple to me: The Breakdown: The game of racism. Destroy the mind, esteem and history of a lesser people( in their opinion ), organize around a common cause(white superiority ), build a coalition( institutions of business, government and religion ); validate it( State sanction ) and control and use the media to brainwash everyone into believing it. That...in a nutshell is how white folks have controlled the world. The RACIST Tea Party has become validated. It is being reported that most white Democrats are going to voteRepublican because they have been successful at instigating fear and mistrust regarding the Obama Administration and policies. And that should open folks eyes that there are white folks who are still not understanding how their racism and bigotry brought this country to the brink of destruction. The economy was f*cked up because of the greed and corruption of WHITE MALES running these financial institutions. A lot of issues are coming to head...but it all points back to them. Obama just brought out that spirit in white folks which prompts me and people like me WHO HAVE NOT AND WILL NOT EVER TRUST white folks...that these people are as corrupt as serpents and it's going to take more than polite discussion to wake White America up. Tim Wise: Antiracist or Clever OPPORTUNIST? When it comes to understanding why some white folks seem to think that by saying things that Black folks want to hear, I'm naturally cynical and suspicious. And frankly, I'm appalled at the presumption of some to think that Black redemption is dependent upon white salvation. The first question I have is WHY are they doing it? And WHERE is this really coming from? If people have been paying attention as I have, white folks are losing their damn minds. Everywhere you look, they are peddling fear of the ENEMY: meaning anyone that isn't white. Haven't we seen this before in history? Can white folks be saved from their racism? Yes, White Privilege is real. And Mr. Wise has been telling errrrvverybody that he can...but again, why? And finanically, he's cleaning up, but who's really benifitting? Have his lectures improved Black unemployment? Have they made schools better? Is he donating some of his earnings to Black churches? Why is the white southerner so inclined to teach folks about what most Black folks know before they are 10 years old? Is Tim Wise really a concerned white man trying to end racism or is he a clever opportunist? Last night, I watched American Master's on PBS and Marvin Gaye's life was highlighted. He was a gifted man, but troubled. However, his music was a reflection of not only the times in which he lived; the beautiful melodies that he created are timeless and reminded me when Black music was something to be proud of. I happened to be thinking about him this morning and I decided to go to Youtube and a live version of his classic hit, What's Going On was actually on the site. As I watched it...I reflected back to a time in Black America where we were truly close as a people. The horns...singing...Marvin ad libbing, "Oh, baby..." And then he began to wail..."Eeeeuuuuweeee....I wanna know what's going on." That song is classic. No one can sing it like Marvin. He is missed. And it is this song that makes me wonder as well...What is going on Black America? What's going on with my people? Tell me...tell me...tell me...what's going on. When I was coming up, Black Power and Black Pride was the echo in all areas of the Black community. Today, people look at you like you're crazy if you even mention these things. Why? What has happened to us that we don't connect with images, sounds and words that remind us of a time when as a people, we knew what was going on and walked with pride? Symbolism of the afro represented that the Black man's consciousness was growing...the platform shoes meant that he was also rising.﻿ Everything in the 70's wasn't a fad. *This literally means that slavery is legal as a means of punishment for those who are convicted criminals. Many young Black males think that it is a right of passage to do time in the joint. What foolishness is this? The attack on the Black male in society has not been taken seriously, but Black women ask: Why do Black men play into the hands of their oppressor? Brother...brother...there's far to many of you dying...."
Marvin sang these words over 40 years ago...sadly, it's still a fact today. Things are happening to our people that are right in front of us...but we just continue to act as though we are sleepwalking. Contrary to popular belief, there are still people who want to destroy Black folks.